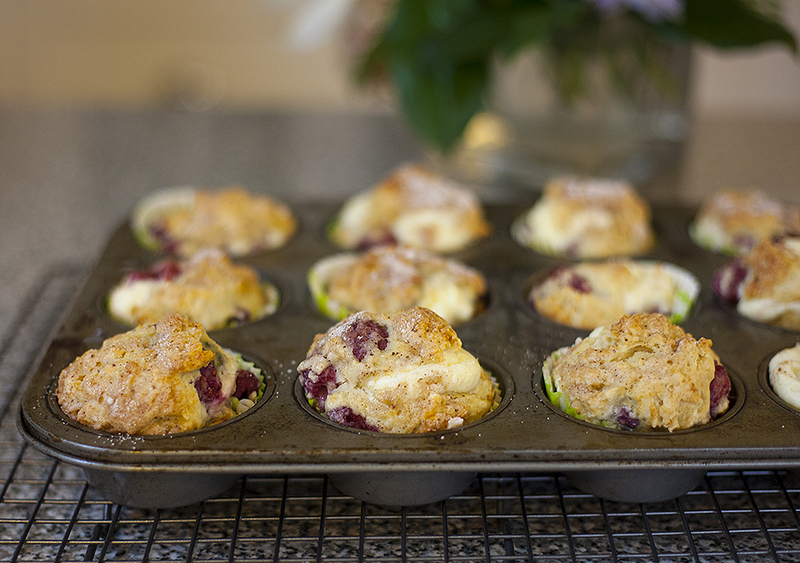 Grease 2 – 12 cup muffin pans or line with paper cups. Beat well then place on a piece of wax paper and shape into a cylinder about 1 ½ inch in diameter. Place the cream cheese roll in the freezer for 1 hour. When chilled, slice into 24 equal pieces. In a medium bowl, stir together the flour, baking soda, baking powder and salt. In a separate bowl, whisk the brown sugar, oil, egg, vanilla and buttermilk. Add the dry ingredients to the wet ingredients and mix by hand just until blended. Spoon the batter into the prepared cups, filling to the halfway mark. Sprinkle about 1 teaspoon of this mixture on top of each muffin. 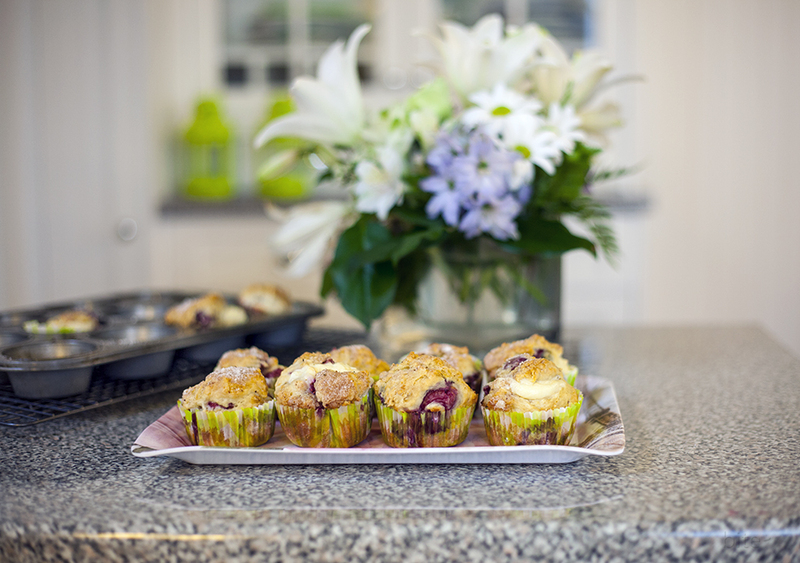 Bake in the preheated oven until the tops of the muffins spring back when lightly pressed, about 25 minutes. Cool in the pans for at least 10 minutes before removing. 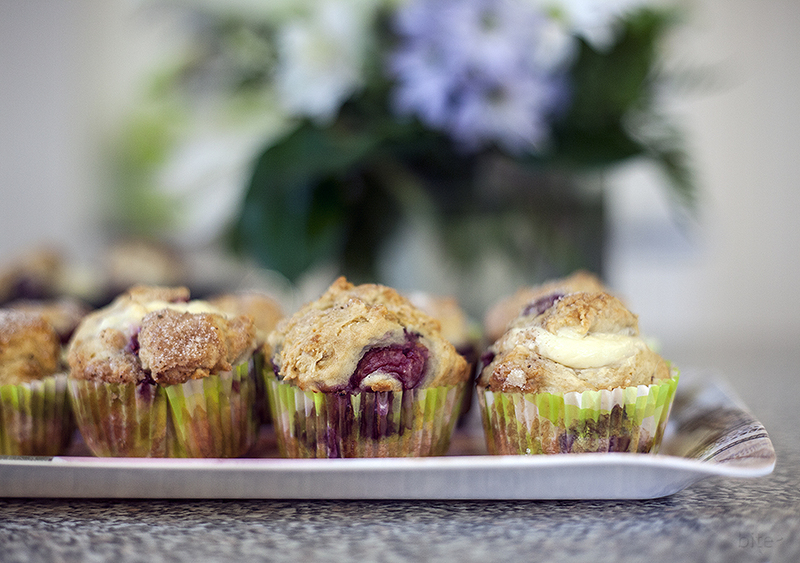 THE LOVE: Most muffin recipes advise stirring together dry ingredients and wet ingredients until “just blended”. Over mixing can produce a tough, dense muffin crumb texture. The more you work the flour, the more the gluten develops. Fight the urge to over stir, and stir until JUST combined. This entry was posted in quick breads and muffins and tagged bread, breakfast, fruit, Raspberries, vegetarian by Michelle. Bookmark the permalink.